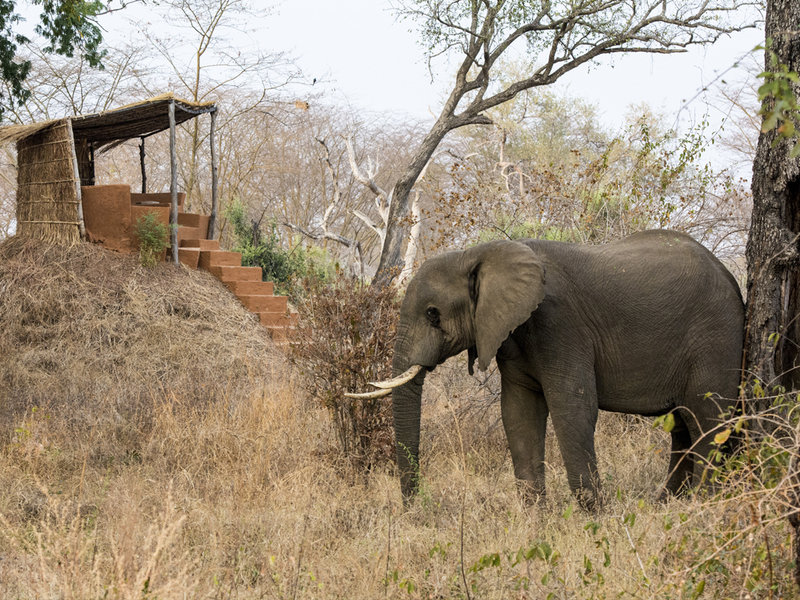 Mwamba, Shenton Safaris’ exclusive bush camp, is the epitome of Derek’s ethos. He created the camp on a poachers campsite in 1995 to push poaching out of the surrounding area. Mwamba has strong roots in Derek’s belief of conservation through tourism. Here, four chalets sit idyllically along the Mwamba River that dries out as the season progresses. The relaxed and rustic designs of Mwamba with hidden luxury items make you at home in the bush, every aspect of camp life is finely tuned to the Shenton’s family rhythm. 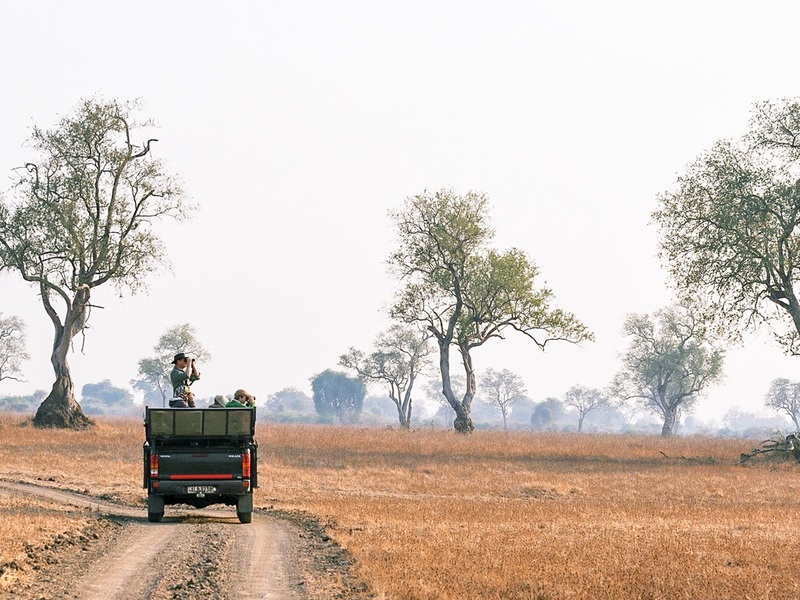 A truly unique safari experience. Mwamba means heaven in the local Nyanja language, and once you set foot in this incredible camp, you’ll see why. From initially hiding poachers until Derek pushed them out of the area, to being the location of Shenton Safaris’ most famous hide, Mwamba is truly Africa’s Best Place to Hide. 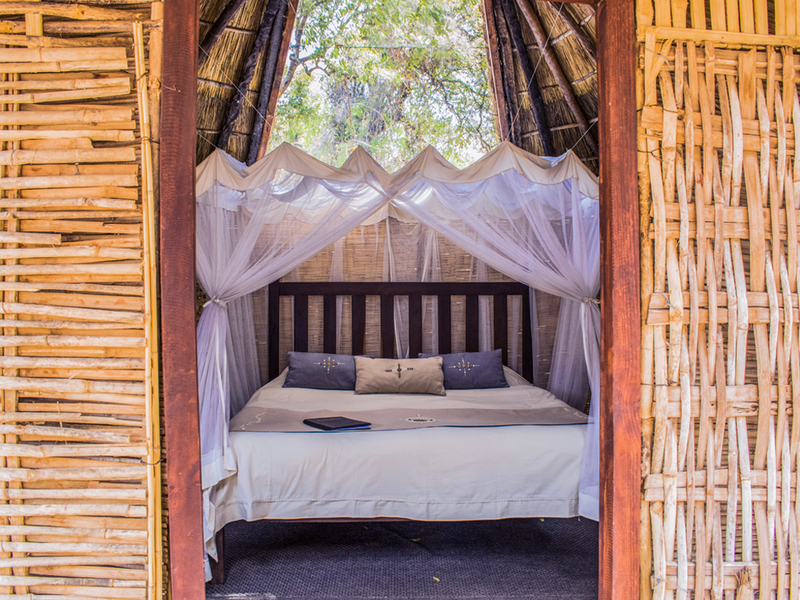 Guests of Mwamba have the exclusive opportunity to sleep out on the Numbu Star Bed. 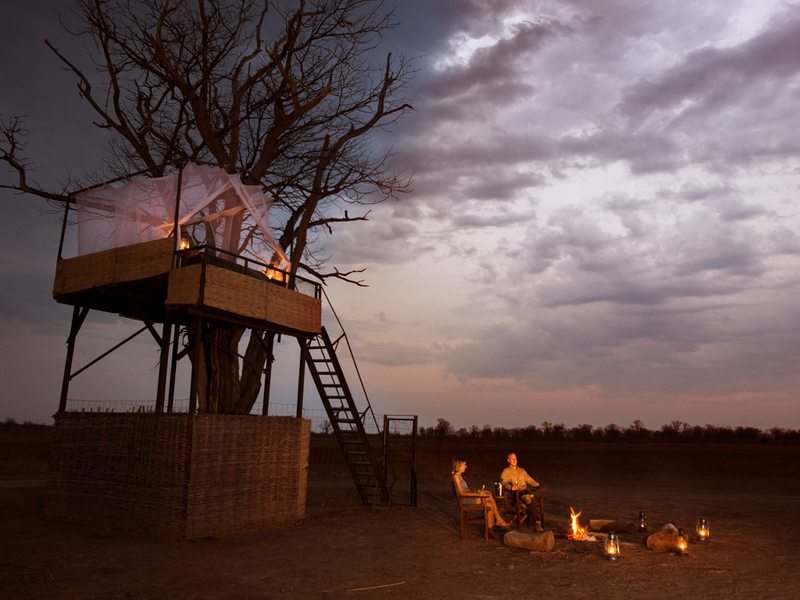 This incredible viewing platform in the centre of Numbu Plains is your private stargazing treehouse for the night. 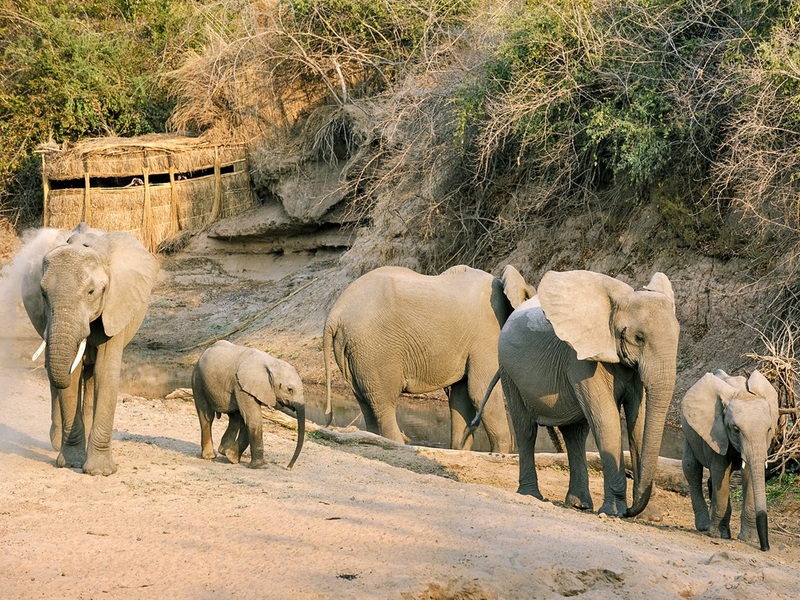 Mwamba has access to Shenton Safaris’ unique network of photographic hides, from the exclusive in camp hide to the extended network, these incredible hides are located around the area and offer a diverse range of animal viewing. Mwamba’s territory is an intricate road network made up of several loop roads north of all other camps. These road networks are all created by Shenton Safaris every season, in the 80km2 area we operate in there are roughly 120km of roads available to our guests. Want to see more Mwamba? Start by immersing yourself in this gallery.